A bright new dawn for cycling in London? 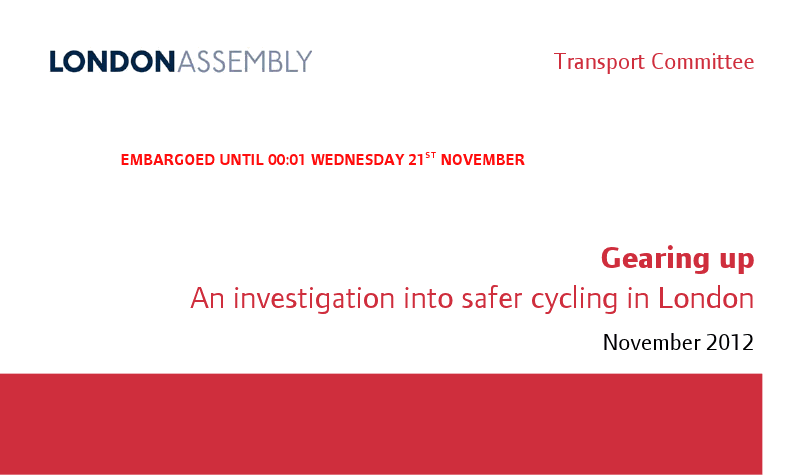 “Gearing up – An investigation into safer cycling in London” has now been produced by the London Assembly Transport Committee . This entry was posted in "Road Safety", Costs of motoring, Cycling, News on November 21, 2012 by rdrfuk. On holiday in south east France I chanced upon this story in the local daily newspaper, Le Dauphiné Libéré. The 76 year old motorist had driven over the (obvious) footway into the well signed exit stairway from the train station at Romans, apparently thinking that this was the access to a car park. This entry was posted in "Road Safety", Cars, Walking on November 9, 2012 by rdrfuk.